Emsworth House was designed by James Gandon for James Woodmason in 1794. Woodmason was an Irish entrepreneur involved in printing and stationary. In June 1792 he announced that he was opening a gallery in Exchequer Street, Dublin dedicated to large scale paintings; the Shakespeare Gallery was launched in May 1793. His model was the Boydell Shakespeare Gallery in London, founded by John Boydell in 1786. 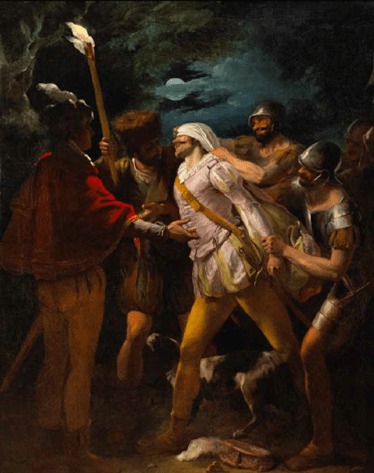 Woodmason’s plan was to support the genre of History painting in Ireland by commissioning and selling paintings and prints, and he used the popularity of prints depicting scenes from Shakespeare’s plays to fund the gallery’s less fruitful ventures. Paintings such as Parolles Ambushed and Blindfolded, commissioned from Francis Wheatley in 1792, were exhibited in the Dublin gallery. This painting depicts a scene from Shakespear’s All’s Well that Ends Well, and appeared alongside two other paintings by the same artist. His Dublin gallery was not successful however as the Irish economy was experiencing a turbulent period, and in January 1794 he opened The New Shakespeare Gallery in Leadenhall Street, London. Woodmason’s move to London proved to be a prosperous decision as he was appointed official stationary supplier to the Commissioners of the Revenue in the same year. Perhaps the reasons behind the relocation of his firm from Dublin to London was in anticipation of this contract. 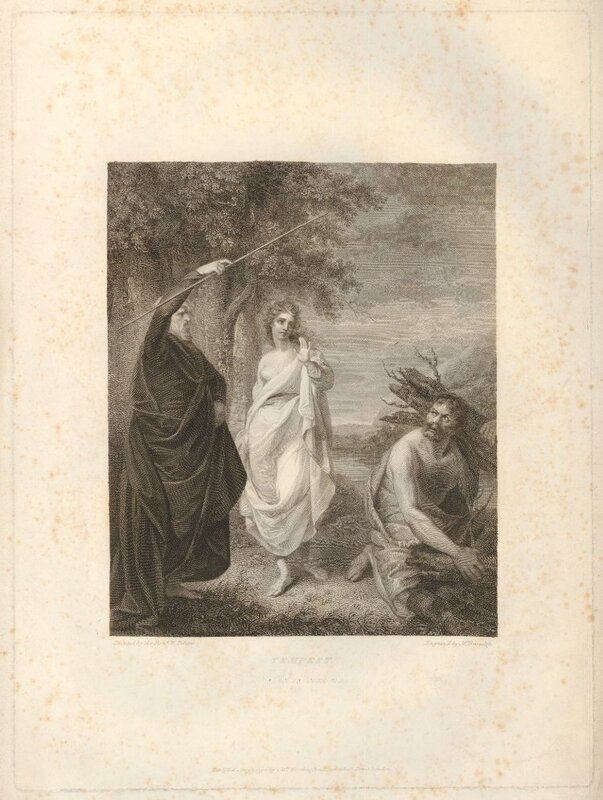 The print below depicts Prospero, Miranda, and Caliban from act one scene two of Shakespeare’s Tempest and was published by Woodmason in London in 1794. It was engraved by William Bromley after Rev. Matthew William Peters. Woodmason’s new appointment was probably the motive behind commissioning Gandon to design the villa for him in North Dublin. A drawing of the house signed ‘J.G. March 94’ is part of the National Library collection and is inscribed ‘Erected for J. Woodmason Esqr. Stemworth’. It is the only villa attributed to Gandon that has survived and it is regrettable that few historic interiors have been preserved. In massing, it follows Gandon’s signature tripartite rhythm with the centre crowned by a pediment and flanked by low pavilions. The ground floor windows are set into blind arches that mimic the fanlight over the front door, and the door surround is of the Doric order. The house and seventeen acres were sold in 2014.